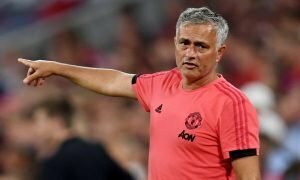 Disillusioned midfielder wants showdown talks with Man United | The Transfer Tavern | Where football transfer rumours fly or die! Manchester United fans in the Transfer Tavern are in shock after hearing a first-team star wants showdown talks with boss Louis Van Gaal, which may potentially lead to an exit. The Daily Star says Ander Herrera believes his career has stalled this season under Louis Van Gaal and wants to discuss his future with the Dutch manager. Purchased in 2014 for £29m after lengthy talks with Athletic Bilbao, Herrera was rated as one of the best attacking midfield prospects in European football. Since then though, he’s made just 32 appearances with the Premier League side. 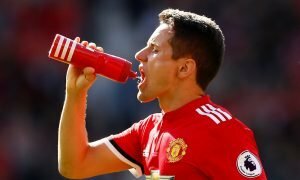 Herrera has been in and out of the first-team this season, with a source stating that the Spaniard is extremely frustrated. Fans at the bar are concerned as they are big fans of Herrera and believe he deserves more opportunities, so they hope this issue can be quickly resolved. Does Herrera deserve more chances at United? Let us know in the comments below!